This section is all about useful Adjectives that start with A. All of these descriptive words are combined with definitions and examples. The first section is a collection of interesting descriptive words, followed by a section of positive adjectives that can be used to describe a person. 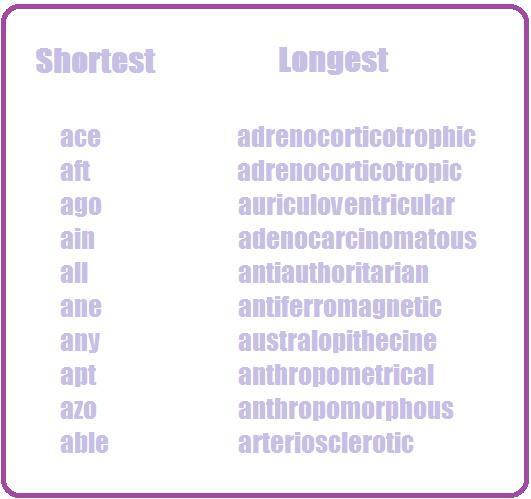 The last section contains the shortest and longest adjectives that start with a.
aberrant: : markedly different from an accepted norm. – The child acted in an aberrant manner, to get attention in school. – The lady’s hair was antic, it resembled a beehive. antsy: nervous and unable to relax. – Children become very antsy when taking a test. arboreal: inhabiting or frequenting trees. – The arboreal snakes camouflage to look like the trees they inhabit. astute: marked by practical hardheaded intelligence. – The astute student had flash cards falling everywhere. auxiliary: functioning in a supporting capacity. – An auxiliary swat team had to be created to hold back the riot. azure: of a deep somewhat purplish blue color. – The hit from the brick was so powerful, it created an azure bruise. accomplished: successfully completed or brought to an end. – After his four years, the president finally felt accomplished when he reduced the national debt. adaptable: capable of adapting (of becoming or being made suitable) to a particular situation or use. – To survive in the army, during war, a soldier must become adaptable to tough terrain and different weather. – Tattoo artists are adept in handicrafts. – The lieutenant was in charge of training the amenable boys into obedient soldiers. – The painter always got appreciative comments on his work. – The poem was absorbing, everyone gave their undivided attention; even some tears were shed. – The recently made film, Dumb and Dumber 2, was very amusing. – The animated conversation about the future of two lovers, brought great smiles on their faces. – The student went from having the lowest grades to be a straight- A student. It was an astonishing achievement. – The action-packed movie was awesome, its special effects made it look real. – The fast food restaurant was so close, it was accessible by foot. – After drying outside, the aired bed sheets smelled like the open meadow. – After landing in Paris, the family was in awe of the amazing Eiffel Tower. – Disney’s atmosphere felt completely ambient and welcoming to the two little girls. – The mother gave her daughter the ancestral necklace, that was been passed from generation to generation. – The older brother thinks his sibling is abrasive, but her friends think she is a sweetheart. – The abusive friend couldn’t see all the pain he was afflicting on his friend. – The adulterous girlfriend only cared about her desires. – The young boy was very aloof. – The arrogant official thought that I was always wrong. – The teenager’s party was abortive and boring. – Because of the Water Gates scandal, there had to be an abrupt change in presidents. – The audience paid to see a play, seeing a rock band perform was completely absurd. – The pain from losing her dog was so agonizing. – The prototype robot was awry and was hitting everything. – The abandoned home looked haunted. – The kids became abject when other kids found out that their parents are clowns. – Giant squid live in the abysmal ocean. – All the heat from the sun, made the afternoon feel airless. – The desert seemed apocalyptic because no life could be found. – The adventurous boy, went on a quest with his father to discover new land overseas. – The businessman failed to keep any employees because he was too aggressive. – The shy boy wanted to be more assertive. – My father is the authoritative figure in the house. – The basketball player’s jump shots are very accurate. – The active toddler seemed to have an unlimited supply of energy. – The agile bunny was able to escape the bite of the snake. – The alert goalie made sure not to let a single player make a goal. – The athletic teenager was a starter for his high school varsity team. – The adored bride loved the priceless necklace. – The affectionate mother always yelled “I love you” to her only son, even when he left for school. – The girl’s beauty was so alluring. – The amorous couple did everything together and didn’t want to be ever apart. – Everything about the lady was attractive, her eyes, her personality, even her interests. 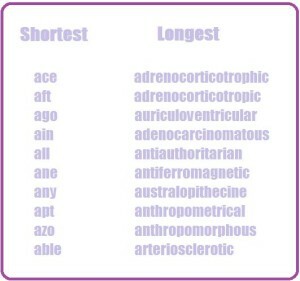 In the following section, you will find categories for: Shortest/Longest Adjectives, Interesting Adjectives, Positive and Negative Adjectives, Masculine and Feminine Adjectives, Sporty Adjectives and Romantic Adjectives. – The ace reporter was able to film everything, anywhere, at any time perfectly. – The aft sail was put in the direction of the wind to bring upon more speed. – Dinosaurs roamed the land millions of years ago. – I’ve always wanted a dog of my ain. – When the talented student performed his song at the talent show, everyone was all ears. – The hunter only had ane arrow left. – After the family used the eggs for breakfast, there wasn’t any left. – The mischievous teenager always had an apt reply. – The azo hair dye made her hair very bright red. – The adrenocorticotrophic area by the kidney was heavily damaged. – The disease affected the auriculoventricular area of his heart, and filled it with blood. – The officials were against those that side with antiauthoritarian. – The adjacent antiferromagnetic materials started to point in opposite directions. – After years of searching, australopithecine fossils were found. – The anthropometrical measure of the person’s leg said that they were large. – Apes are anthropomorphous species and can do many things a normal person can. – The old man’s arteriosclerotic veins gave him a short time to live.